Only TSD offers two different lines of prescription dispensing containers made from PET, the most widely recycled plastic in the world! In fact, our ProMaxx® containers also include previously recycled post consumer PET, making them the most sustainable prescription products available today! 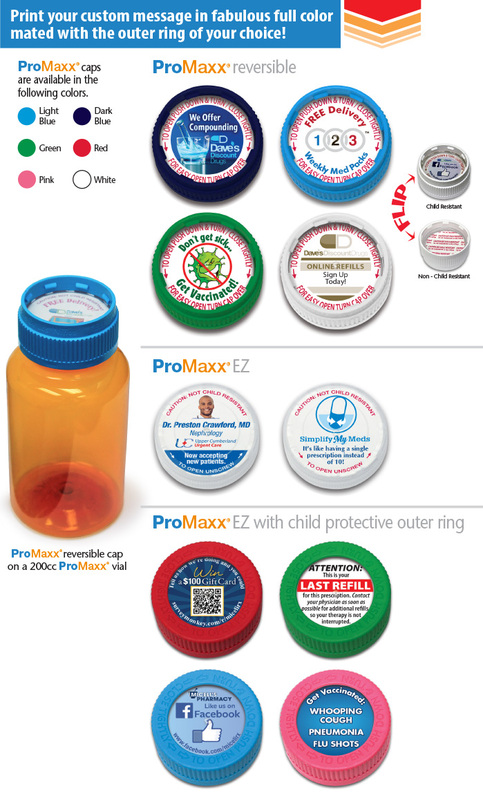 The ProMaxx® line has only five sizes, with the smaller container able to accept even the largest labels and auxiliary warning labels without having to "accordion" or "butterfly" them off the side. This is critical so you can meet the various state and federal label regulations that have been put in place by states like California and federally by the USP. Those regulations governing label size, content and minimum font sizes went into effect in 2014 by the USP, and by switching to the ProMaxx® line, you'll have vials that meet and exceed these label regulations. Made from PET these containers can be recycled in virtually every community nationwide. ProMaxx® containers also include previously recycled post consumer PET, making them the most sustainable prescription products available today! Only five sizes, with the smaller container able to accept even the largest labels and auxiliary warning labels without having to "accordion" or "butterfly" them off the side. In fact, you can immediately use TSD's patented OnePull™ label design, with all information laid out in an easy to read, USP compliant format on a single label incorporating all warning messages. With "one pull", you can remove the printed label and wrap it onto the vial quickly and easily, and your customers will love the easier to read look! You practice within the health care system in this country by dispensing meds and providing other services to customers here in the USA, so why use some cheaply made product from China, India, Vietnam or other overseas place with no assurance of quality, safety or that the company adheres to sustainable environmental manufacturing practices? By switching to the ProMaxx® line, you are buying a product made right here in the United States by an award winning "green" company that is Good Manufacturing Practices audited and certified annually. Your customers prefer quality products made right here in the USA, and with the ProMaxx® line, you can give them what they want at the same or lower net prices than what you'd pay for questionable offshore junk. Crystal clear clarity and appearance sets you apart from your competitors. Check out our testimonials section where many of our customers report that they use the much higher quality appearance and crystal clear high gloss look of our PET products to differentiate themselves from their competition and establish a unique brand in their communities. 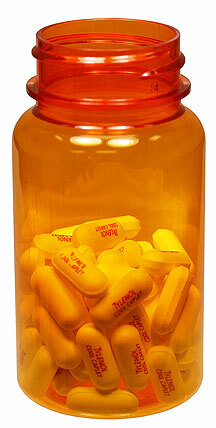 Approved and authorized for use in ScriptPro® and RX Medic™ Automated Dispensing Systems. Available in Amber or Green. A great container deserves the very best closure to make a safe, attractive and easy to use system. 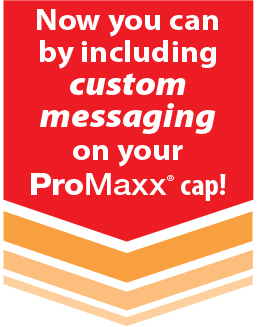 The ProMaxx® can be mated with our unique patented 2 piece ProMaxx® regular cap or our versatile patented dual purpose cap. 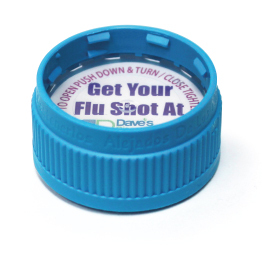 Both come with our exclusive digitally printed liner inserts in 4 color digital process, yielding unlimited colors, pictures and other graphics in the cap design never before possible in an Rx container. Both closure systems meet all applicable CPSC standards for child safety and senior friendliness.